The design of activation functions is a growing research area in the field of neural networks. In particular, instead of using fixed point-wise functions (e.g., the rectified linear unit), several authors have proposed ways of learning these functions directly from the data in a non-parametric fashion. 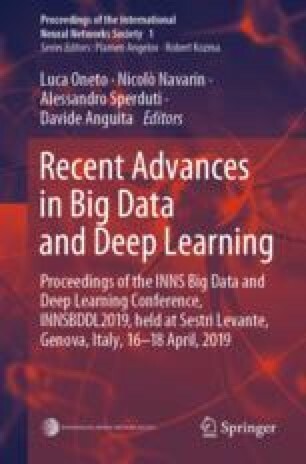 In this paper we focus on the kernel activation function (KAF), a recently proposed framework wherein each function is modeled as a one-dimensional kernel model, whose weights are adapted through standard backpropagation-based optimization. One drawback of KAFs is the need to select a single kernel function and its eventual hyper-parameters. To partially overcome this problem, we motivate an extension of the KAF model, in which multiple kernels are linearly combined at every neuron, inspired by the literature on multiple kernel learning. We provide an application of the resulting multi-KAF on a realistic use case, specifically handwritten Latin OCR, on a large dataset collected in the context of the ‘In Codice Ratio’ project. Results show that multi-KAFs can improve the accuracy of the convolutional networks previously developed for the task, with faster convergence, even with a smaller number of overall parameters. The work of S. Scardapane was supported in part by Italian MIUR, “Progetti di Ricerca di Rilevante Interesse Nazionale”, GAUChO project, under Grant 2015YPXH4W_004.